Many of our clients tell us they’d like help in putting antiques together. So, we have spent a little time combining some of our antiques, to help you envisage how they may look in-situ and what combinations work well. We’ve also included some little tips you may wish to keep in mind when trying it for yourself. Tip1. There are so many pre-conceptions around about antiques…most of them wrong. ‘They’re dark, they’re heavy, they’re boring’…really??? ‘Antique’ is a catch phrase for any piece of furniture produced over 100 years or more, and yes, plenty of those are uninspiring, but plenty are magnificent. ‘Antique’ does not delineate a particular style, so let go this notion and start thinking outside the box. 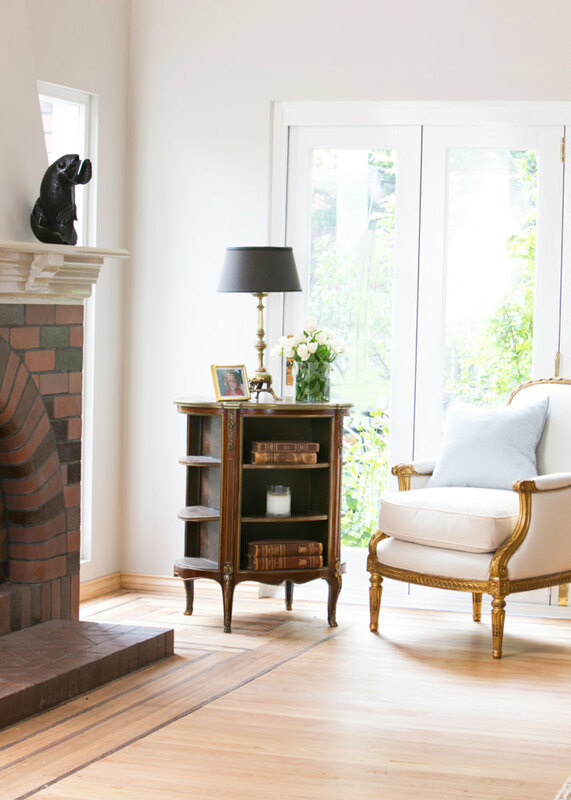 There’s nothing boring and heavy about the pieces used here – it’s simply a matter of finding a style of antique that suits your taste. Tip 2. 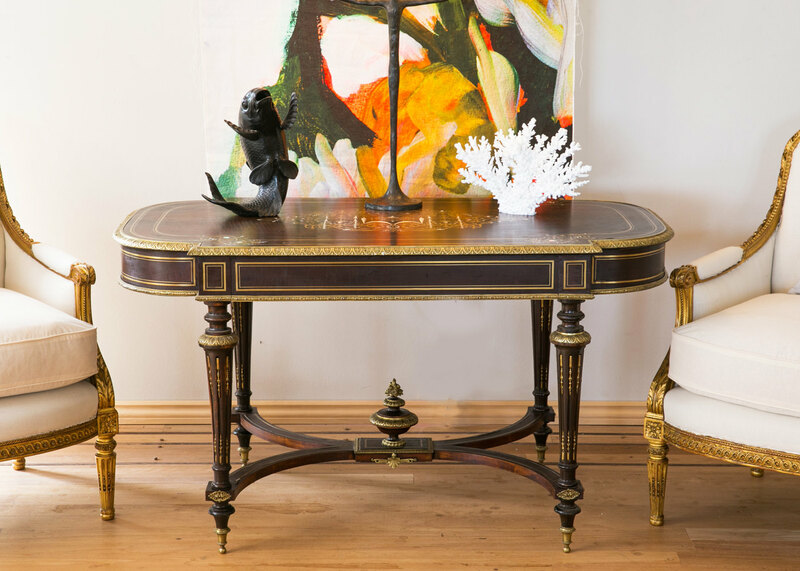 For those wanting to create a contemporary feel in their home, but still love the quality and ‘soul’ of an antique, try pairing something unexpected with your piece. 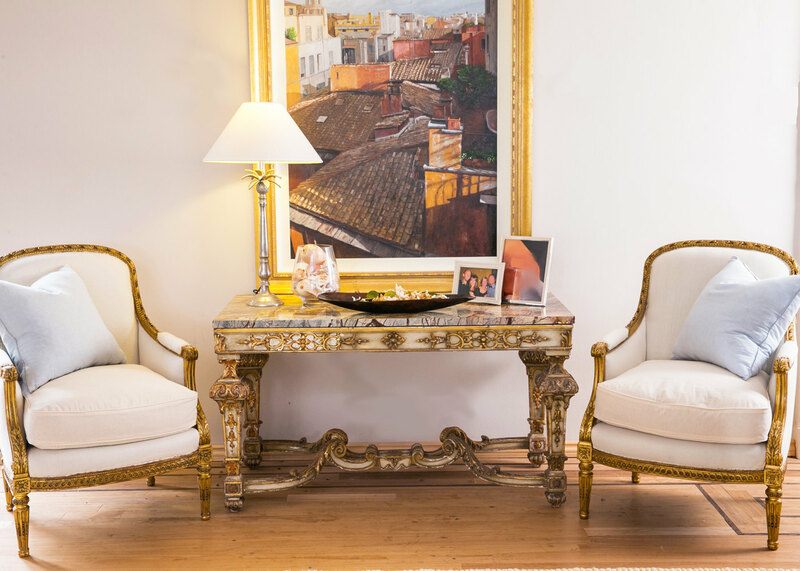 For example, a straight edged table like the one in this photo with a very modern painting that pulls colours from the piece itself and ties them together. Tip 3. For an elaborate, slightly over-the-top piece, tone it down with plain fabrics or simple block colours to make a wonderful centrepiece in a room, or dress up something plain with a geometric wallpaper or out-there fabric. Tip 4. For those quite content with classical furnishing, take notice of your lines. Ensure that the pieces you place together complement one another rather than clash. Tip 5. Keep in mind that your negative space is as important as the space you fill with furniture. Your antiques will not stand out if you clutter them together and force too many things into one area. Allow space and break them visually by introducing contrasting colours and textures. Tip 6. Think outside the box. 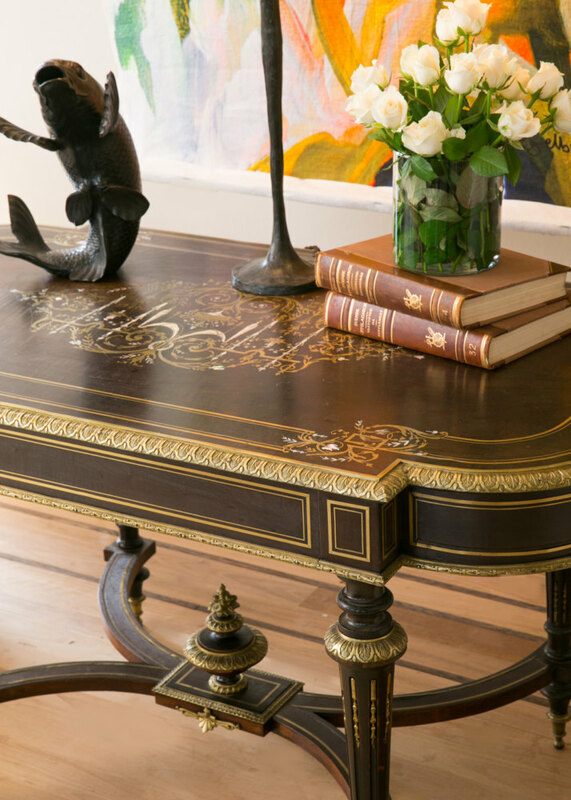 Many antiques were crafted with a particular purpose in mind which have become superfluous to the way we live today. 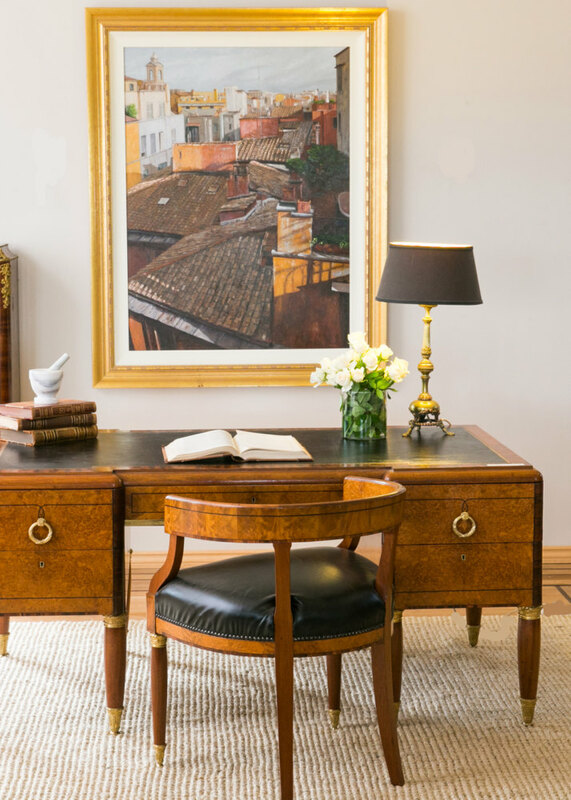 Rather than overlook these pieces, why not re-purpose them, for example… a coffer can make a wonderful hall table, coffee table or seat at the end of a bed. Revolving bookcases and card tables make fantastic and useful bedsides tables and mirrors can be wonderful bed-heads if large enough. Tip 7. Polished and painted work well together contrary to popular belief. One often relieves the other, it’s just a matter of choosing the right combination.